Inspired By A Beautiful Quote From JRR Tolkien, This Eclectic Cuff Was Hand Cut From A Shiny New Sheet Of Argentium Silver. Once I Laid In My Wording, I Centered A Gorgeous Deep Blue Lapis Gemstone Then Lined The Edging With A Decorative Sterling Silver Accent. 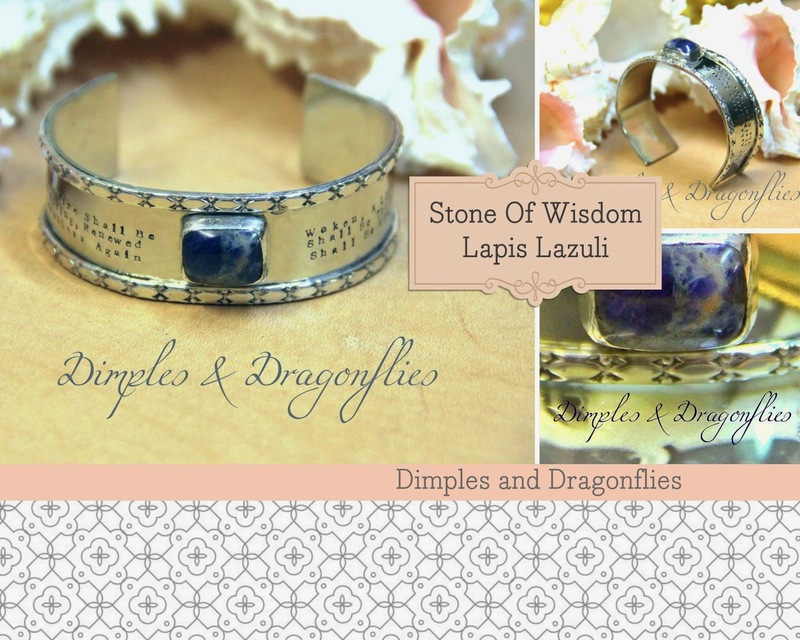 Lapis Is The December Birthstone And The Perfect Stone For Wisdom and Fortitude. It's Said To Be An Excellent Stone For Decision Makers. ♥ Your Cuff Will Arrive Tissue Wrapped In A Sweetly Scented Gift Box!